Have you spent a nice Valentine's Day? I cooked a nice dinner for the whole family as it had been snowing all day, it was lovely to look at the snow outside and be cosy at home! I was supposed to share this big news on the blog for a while but I wanted to wait until my first deadline had passed (successfully). 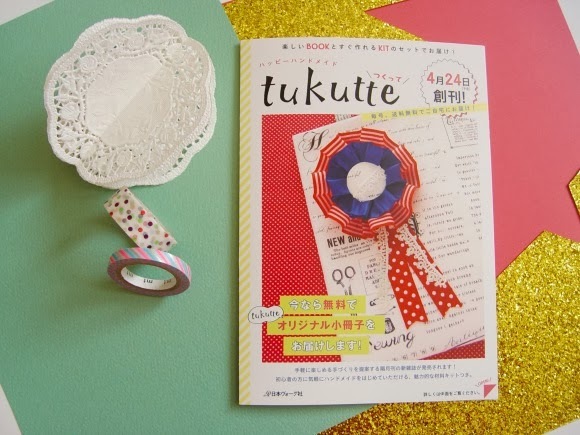 I am starting a collaboration with Japanese publisher Nihon Vogue for their new magazine Tukutte, which will focus on handmade crafts such as party decoration, accessories, DIY and more! The first issue will launch at the 37th edition of the Hobby Show fair which will take place at Tokyo Bigh Sight from April 25th until 27th. 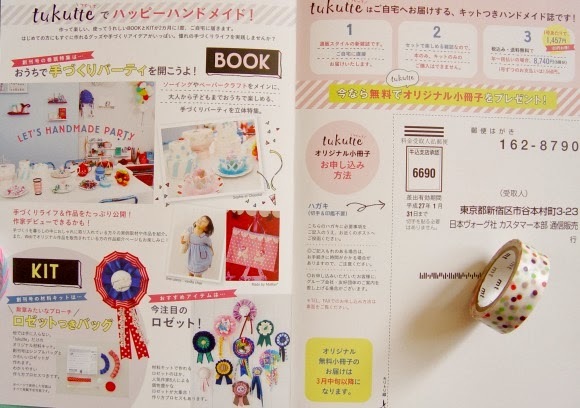 For this issue I have created a kid birthday party table decoration and wall decoration using masking tapes. I also produced costumes for the kids who were going to participate to the shoot. 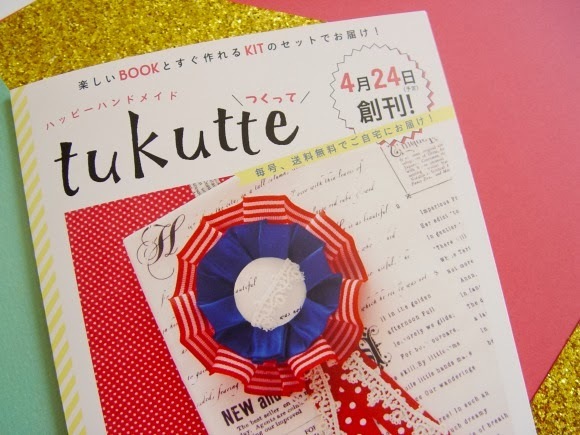 mt Japan, WRAPPLE and Martha Stewart Crafts Japan very kindly sponsored craft materials and allowed me to create a wonderful party decor, I am so grateful for their support! I really can't wait to share with you the magazine feature! 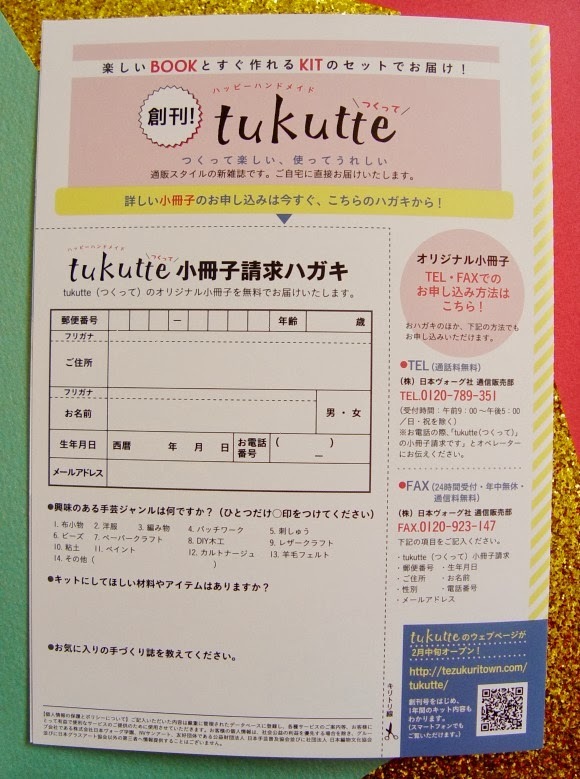 Here below are a few pictures I took of the leaflet introducing Tukutte to the public. * The magazine will not be available at magazine stands but by subscription only. See details below in how to subscribe (in Japanese only). If you live in Tokyo, I hope you will be able to drop by the Hobby Show in April and come see Nihon Vogue's booth. I shall exhibit a few party tables at the fair, including the one created for the first issue of the magazine, so I am really super excited about it!